If you’re following me on my social media accounts, you’d be aware that few months ago I lost my dog, the youngest, Buchi. We were so heartbroken since she’s the youngest, and we were not aware or maybe just ignored the changes with her that we didn’t noticed what she’s feeling. We brought her to the hospital and told the doctor/vet about what we’ve noticed, and she decided to test her blood sugar and it was way too high, above 400. And it was too late to save her that her kidney failed already. Anyway, we were so sad, depressed on losing our dog Buchi our baby girl that my older sister decided to get us a new dog since our house looks so lonely and sounds so quiet already. They’re not used with us that we only have 3 dogs, we need dogs in our current rented house. And we found this black puppy, Labrador, big boned, on a cage online posted by its owner selling it for a cheaper price. Showed it to my Mama, and then we showed it to my sisters and brother and they said we should go for it. 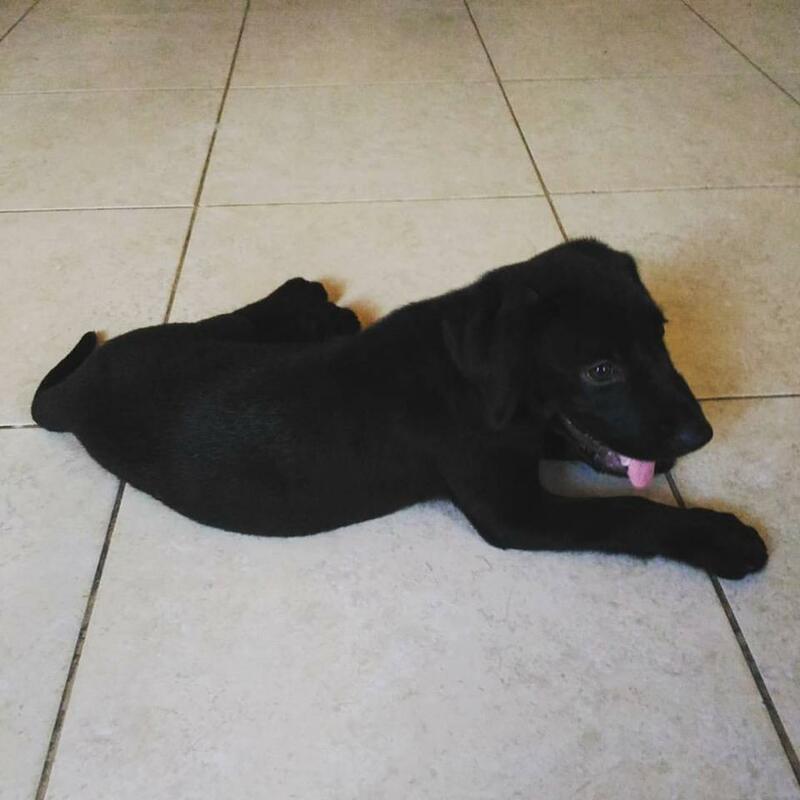 Zeus is a 2 months old Labrador, he’s a puppy share by the owner that is selling her. We saw his dad and grandpa and they’re all huge. Like, they’re almost as tall as me when they’re standing. We brought him to the vet right away when we got him to give him a shot that he needed to be updated. And as of now, all I can tell you is that I didn’t know Labradors are like these… they’re crazy!